How Google ranked a site in its search engine results page, there is no end to our curiosity. Because Google does not ever say anything about its ranking factors. All of us who work with SEO have come to know about this mysterious world. So let's enter today in the mysterious world of Google and try to find out how Google gives a site to Kiwa? What does Google see? Welcome everyone to this article in my today, where I'm going to discuss the Google ranking factor. We all know that Google's ranking factor is one of the most complex topics in the online world. There was a time whereas SEO used to mean only Meta Tag and Backlink. Not long ago, when it was easy to rank sites/pages with the Backlink from Keyword Stuffing and Irrelevant sites. In September 2013, Google's Hummingbird algorithm updated was similar to an earthquake for the SEO industry. You may know how much Hummingbird updates Google's search results are relayed to Google. Since when BlackHat Technique is ranked as SEO by the site and it is much more difficult than before. The main goal of the Hummingbird Algorithm was to give more emphasis on how much the page is relevant to the keyword search before ranking it on the Google search engine results page. The number from times that particular keyword was used on this page where it was viewed earlier. But by regard to how often the Hummingbird keyword has been used it has given importance to how relevant it is to the page content. Google's main ranking factors are predominantly dependent on 10 things. Apart from this, there are some minor factor factors but these are considered to be the most important ranking factors. This is a common question whether the age of the domain plays a role for the ranking. Before that, there are many different doctrines, but many SEO experts believe that new domains will give better results in the old domain ranking. It can be said that your ranking rise with your domain as well as your ranking. However, this does not mean that you always use the expired domain or expired domain. There are a lot of things to look forward to using an expired domain, especially its backlink profile. There are many various types of talk about Top Level Domain (TLD) and Second Level Domain (SLD). Here too, the Majority people say it is easy to rank top-level domains from the second level domain. I personally have always been in the top level domains. (EMD) Exact match domain means that you want to work with the main keyword that you want to work with as a domain. If you are interested in coming to the rank for this keyword Food and you have got this domain of Food.com, this is the Exact Match Domain search results play a somewhat positive role. However, content quality plays a big role here. If Google detects a domain owner as a spammer, then its ownership has the same effect in the rest of the domains. If there is a country's country code Top Level Domain (ccTLD), then this domain is prefixed with the search results of that country/region. Example of ccTLD: .com.UK domain. 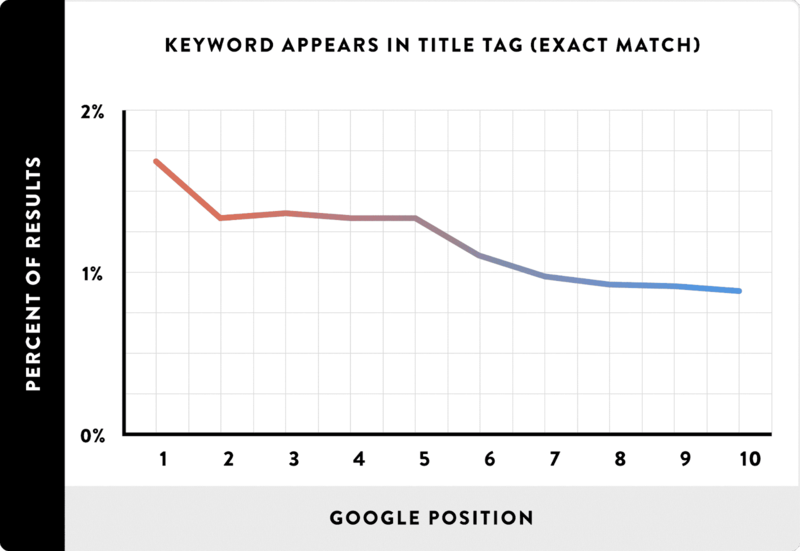 This is a real common factor, you must have the keywords in the title that you want to rank in the keyword. 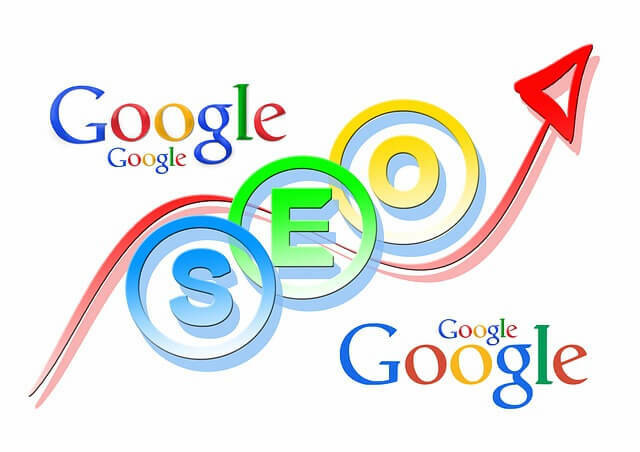 It is one of the most important ranking indicators of Google On-Page SEO. Following an experiment of the popular SEO tool MOZ, they officially said that the keywords used at the beginning of the title perform well in search results from the keywords in the middle of the title or in the end. though Google does not consider Meta Description as the Direct Rank factor. Then there are some values of the Meta description in the search result. In individual, it helps to increase your site's CTR (Click Through Rate). The H1 tag is the second title If Google considers your website's title to be the main ranking factor, then the H1 tag can be called a secondary ranking factor. But remember one thing, it is not good to use more than 1 H1 tag in a page/post. Keyword Density is meant to mean the percentage of percentage used in the old articles in the main keyword (the keyword you are trying to rank). Nonetheless, you have to be very careful about keyword density. Because the keyword density is very low, it is difficult to rank, if there is more keyword density than Google's Penalty Practices and more. Questions can be asked, how many percents of k keywords can be kept in the whole article? The answer is different, but my personal opinion should not use more than 5-6 times main keywords in 1000 ward articles. On top w,e have learned that if the content is more keyword dense, then it is possible that Google sees bad eyes and penalties. But even if it is not a true relent keyword, then it is difficult to rank an article. Excellent solution for this can be the Latent Semantic Indexing (LSI) keyword, the LSI keyword means the relay of the main keyword is used in any term article. For example, Your keyword is "Keyword research tool", so its LSI can be "Best Keyword tools", "Google keyword planner tool", "google keyword research tool" etc. Loading speed is deliberated to be a significant ranking factor in Google or Bing 2 search engine. If your site page takes longer to load, then it is harmful to your site. Normally a page should be loaded in 3-4 seconds. I use those tools to see the loading time of the site. There was a time when the website could be ranked on Spamming or Black Hat. At that time Google did not use the important terms of Rankbrain or Artificial Intelligence as it has now, it also ranked duplicate content too. But there is no longer time. If you have duplicate content on your website, it may get a lot of negative sign in Google's eye and this site can get penalties for any duplicate content. So before uploading the content on the site, please check the whole content with the plug-in checker. I use those tools to check if the content is duplicate. You may know, there are also a lot of visitor websites coming from the search results. So the contents of the content would just like to be optimized. Optimizing the image is considered Google's ranking factor. Keyword Prominence is the key to putting the keyword thou want in a prominent place on a web page. This is to say, whether you have placed your main keyword in 100 pages of page/post writing, or if you have keywords in the heading tags of the page, keep an eye on these keyword prominences. It is also necessary to become an inbound or internal link within a site, such as an outbound or external link. However, many are not interested in external links. It seems that External links do not have any profit to my site. But today the idea has changed Google. It is significant to have an internal link on your site as well as external links. This increases the visitor's visit to your site and Google's privacy. If thou can take a user to a more informative site, it is much better to increase your trust. Article grammar and spelling mistake play a role on the website. Since Google continues now using Artificial Intelligence (AI) in search results, Google does not make such minor mistakes. That means if your article contains grammar or spelling mistake, it will play a negative role for both the site and Google. People favor to watch or hear more than reading. Google and preferring content to contain images, videos, audio. Since the time a visitor is on the site, it is considered as an important ranking factor, so the site will have more time on the site when you add content to the multimedia content like image, video or audio. Which will help to increase the ranking of the site? 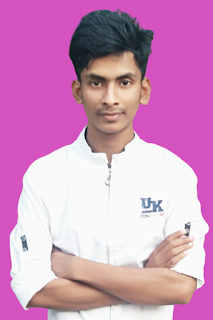 Just a few days back, I published a detailed link about my backlink to my site. Where there is a detailed discussion about internal and external links. Yet, I'm stating, Internal Link: When you link to a page/post inside a website, link to another page/post will call it an internal link. Call it Inbound Link and say. This helps you to correctly link links to all pages of your site/post so that your site gets Google Rank. Broken link or dead link is the same thing. Imagine that you have an internal link of another page with a page on your site. Later, at any one time, you deleted the page that was rink or changed the URL. Now if you click on that anchor text instead of the desired page instead of 404 error, this is the Broken link. It can also be in the case of external links again. For example, if this page that you link to the external link is no longer live, then the link is also called a broken link. It's never a good idea to have a broken link for a site. You should be redirecting these links to 301 redirects with relieving pages. The reading level (readability) is tested to understand how easy or difficult it is to read content. Online marketers and SEO experts always say that content is always easy to write. So, one posterior read the PHD holder and the high school student studying to understand the article. In the article, you used a lot of complex words. It is difficult to understand some of the articles on the subject of a student studying high school, even if a PHD holder/university student is able to understand the article. Then she will not be interested to read the article. Since "How long a visitor is on the site, it's important to Google's eyes", so the article's reading level considers Google as a ranking factor. If you are using WordPress, you will find that there is an option in Yoast SEO Plugin. I try to keep the article at the Hemmingway Tool in the range of 5-6. Hopefully, thou will get ideas about something interesting about the site. So large URL length gives negative results for website ranking. So thou should keep the URL as small as possible. And never know the URL to exceed 50 characters, this is Maximum. Keywords on the URL are very important for the ranking. Originally Google does not have the URL that makes the signal for ranking from the place. If you do not have Focus keywords in the URL, then Conflict will be created by Google that you want to rank this keyword. We do not mention references or sources in the esoteric article. I used to use images without any cartridge from Google. The main reason behind this is that it is the fear of linking. This is a wrong practice. According to the "Google Quality Guidelines", reference to an article, especially in the articles of research type, is referred to as a positive sign. It's not a proof sign though. However, it seems that Google has indexed pages that start with Sitemap. It is said that the page rank above the sitemap is easier than the page below. Using a site map for small sites such as less than 500 pages is not so important. In order to rank in the main keywords, Google cemeteries notice other keywords. If thou think your kitchen is a site where you write about the Chinese relay product. Here, if thou are convinced that you have already ranked some of your keywords in this keyword relay. At this point, it will be easy to rank for new articles. This is very important. This page's age plays a bit to rank in Google. Initially, Google needs a little time to understand a page or website. However, with the age of the page, it takes less time. Because in the eyes of Google you can prove yourself as an authoritative site. There was a time when there was a variety of colors, including red-blue-green-yellow, all of which had been designed with the vile site. That is, many people are worried about whether the site is user-friendly. But now it is certain that Google considers the user-friendly interface as a significant ranking factor. So to create an SEO Friendly website, user-Friendly Interface will be taken seriously. When Google then focused on a site, the domain of the appropriate site would be more trust. Domain Trust is here to indicate domain overlap/authority. Questioning the head, how can the domain trust increase? The Domaine Trust / Overall Value / Authority, which is why E-Ballina, the only way to increase it is Quality Backlink. When your website receives a backlink from your quality relativity website, it will also be a signal to Google, your website is also a website of that topic. In this way, gradually increase domain trust through backlink. It has a similarity with the 17th factor, it was said that there was content update. Not only is content, but it is also important to update the website keeping pace over time. Google always wants its visitors to get accurate and updated data, which is why Google updates every month. Site updates are meant to be the theme of the site, from the plugin to the content. To understand more about this, you can take a look at the Google Freshness algorithm from this article. Google has a number of pages on your website for the ranking and seriously considering it. We have learned in the earlier fact that the site's authority plays a key role in ranking, in that case, Google will offer more than 100 pages of websites with 10 pages. If the quality of the content is very good, then in many cases, low-page Website are ranked. Backlink plays an important role in this regard. Sitemap helps Google search engines crawl your site very easily. It's important to put a sitemap on the website. Prefetching the "Contact us" page on the Google website. So that the visitor has any questions, he can easily inform the website authority or the owner. Very briefly, Secure Sockets Layer or SSL is a type of security protocol. SSL is exploited for various tasks, including payment trucks, data transfer, and social security. Recently, Google's own browser, Chrome, is instructing not to visit websites other than SSL. Note that Google has ensured that all of their racking factors is SSL. This means that if you see the site in good condition, then you must have SSL or Secure Sockets Layer in that site. International domains and hosting providers charge for SSL. However, some of the local service providers will now see this service in the freebies. Having Terms and Services on the Site means giving information to the visitor about the type of service or product available in your website and what kind of terms and conditions it helps to increase your website's credibility. To destroy a site, only 1 duplicate content is correct. Google is very strict on the copyright issue. Many of them used to rank with duplicate content, but Google is much smarter than before. I personally favor the writing of content myself. However, if it is not possible in any way, then the content should be checked by plagiarism checker software while delivering content from the content writer. In this case, I prefix CopyScape. But this is a paid tool. Manual and it can be checked. If there is a result when you search by inserting a line at the beginning and end of the line, it means that it is plug-in content. Another important aspect of Google's racking is that the website is responsive. 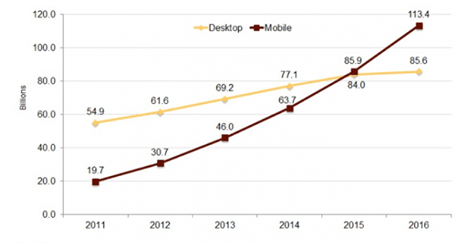 Because people from the laptop or desktop in the USA now search for more mobile. So if your website is not mobile friendly, then Google will not rank your site from mobile search. As a result, you will lose the visitor. Those who do not know about the mobile fast index, they can read this article. You can be sure that your website is mobile friendly, using Google tool. If you link your website to this link, Google will tell you whether your site is mobile friendly. Breadcrumb refers to the guidelines of a website that is in place. That is, on a contingent page or post can be called Breadcrumb. wpbeginner On this website you can see a persistent page being navigated by "Homepage -> Category -> Pages" Breadcrumb. Breadcrumb is a ranking factor by popular SEO search engine journal and Ethical SEO. It is very common that if you visit any website if you find it too complex, ie if the user interface of the site is bad then Google does not rank the site. So there is no alternative to the good user interface to get better positions in search results. YouTube is a service of Google. If you have a YouTube video on a content/article, then that content is ranked quickly from other content/articles. Any web site's repatriation plays an important role in racking. It can be said that Google, Yelp, RipofReport will help boost your ranking if you have a good review of your website. The number of factors that can be ranked in a survey website, the most important and important is the backlink factor. If you have a backlink from a web site, then the link quality depends on the age of the website. Suppose two websites have the opportunity to get your links. Of these, 1 website is for 3 years and 6 months for another. Here's a better result if you take a link from the website of the 6-month-old website to the 3-year-old website. The link from the website is not only good but also the age of the person. Apart from age, domain authority also plays an important role here. Suppose a website's domain authority 50 is another 15. It can be assured that there is more than 50 authentic domains link values ​​from 15 authoritative domains. Different types of tools are used to check domain authority/rating. Moz Link Explorer can be used as a free. Those who use Ahrefs outside, they can take a domain idea about its domain rating feature. Just linking will not boost the site search results. If this is the case, you have taken 3 links from the website. But all the websites are under a hosting company and the IP address is for everyone. Then they will not have too many links to the websites. So be sure the IP address of the website is different from the IP. Those who are working in the SEO industry, they might know about Pakistan's famous affiliate website 10beast.com. This website is sold for $ 5 million in December 2007. Luqman Khan gave a detailed introduction to SEO specialist Maj. Digitize on his 10beast.com website. And he mentioned that the.EDU domain has played an important role in boosting its website ranking. But there is a lot of debate about whether the EDU link works yet. But personally, I think it still works. Suppose a site has been linked to 30 root domain, another domain has got a link from the same root 20 root domain which will be the case. The site that received the link from the domain more than it will rank first. Because we know that the site authority is as high as those sites ranked above Google search results. But so you can not take the link from wherever you are. It is also important to have a link linking root domain as well as link reliability. There was a time before 2012 when the site was ranked with articles by spamming link, bad anchor and over optimized keywords. But in February 2011, Panda Update (https://moz.com/learn/seo/google-panda) is not as easy as before. We learned from previous articles that Backlink is the most important factor in ranking a website. But he must be linked to the relent. Suppose you are building a home and garden site, but backlink has no relation. Most of your site links to phishing or hunting related websites. If you have any Google updates, this site is likely to have a penalty. So there is no alternative to link reliability. If you are a baby nurse then try to get a backlink from Baby Nish's site. Or if you take a link from another niche, it should be kept in mind that it is a post that relates to your answer.